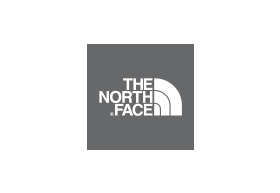 The North face is an international outdoor brand that has an exclusive brand store on the ground floor at Chadstone. The brand has a wide variety of products, from apparel to footwear and outdoor equipment for men, women and kids of all ages. The North Face is a brand from the United States that came into existence in 1968. It was established by Kenneth Klopp and Douglas Tompkins, hiking enthusiasts who owned a hiking equipment store since 1966. Initially, the store used to retail only handpicked products exclusively meant for backpacking and climbing. Over time, they slowly added skiing gear and camping equipment to their product line. They became the biggest names and suppliers of skiing and outdoor equipment in the country. The North Face brand, have sponsored mountaineering missions, and stuck to a tradition of encouraging climbers to summit difficult and far-flung peaks around the world. Since the 1990s, their products have become popular with ultra-marathoners; trail runners and trekking enthusiasts because of their functionality and superior quality. Being designed especially for various activities in the outdoors, The North Face products have become increasingly popular among serious athletes through the years. The North Face specializes in outdoor products and equipment for people of all ages. Their products include select backpacks, sleeping bags and tents, along with fleece, coats, footwear, and outer wear designed especially for the outdoors and perfect for camping, backpacking and hiking. Never Stop Exploring.